1. Barker DJ, Winter PD, Osmond C, et al. Weight in infancy and death from ischaemic heart disease. Lancet. 1989;2(8663):577– 580. doi: 10.1016/S0140-6736(89)90710-1. 2. Barker DJ, Gluckman PD, Godfrey KM, et al. Fetal nutrition and cardiovascular disease in adult life. Lancet. 1993;341(8850):938– 941. doi: 10.1016/0140-6736(93)91224-A. 3. Barker DJ. The origins of the developmental origins theory. J Intern Med. 2007;261(5):412–417. doi: 10.1111/j.1365- 2796.2007.01809.x. 5. Agosti M, Tandoi F, Morlacchi L, Bossi A. Nutritional and metabolic programming during the first thousand days of life. Pediatr Med Chir. 2017;39(2):157. doi: 10.4081/pmc.2017.157. 6. Isolauri E, Tahvanainen A, Peltola T, Arvola T. Breast-feeding of allergic infants. J Pediatr. 1999;134(1):27–32. doi: 10.1016/ S0022-3476(99)70368-9. 8. Wu G, Bazer FW, Cudd TA, et al. Maternal nutrition and fetal development. J Nutr. 2004;134(9):2169–2172. doi: 10.1093/ jn/134.9.2169. 9. Lee AC, Katz J, Blencowe H, et al. National and regional estimates of term and preterm babies born small for gestational age in 138 low-income and middle-income countries in 2010. Lancet Glob Health. 2013;1(1):e26–36. doi: 10.1016/S2214- 109X(13)70006-8. 10. Nurmatov U, Devereux G, Sheikh A. Nutrients and foods for the primary prevention of asthma and allergy: systematic review and meta-analysis. J Allergy Clin Immunol. 2011;127(3):724–733. doi: 10.1016/j.jaci.2010.11.001. 12. Рекомендуемые нормы лечебного питания (среднесуточные наборы основных пищевых продуктов) для беременных и кормящих женщин в родильных домах (отделениях) и детей различных возрастных групп в детских больницах (отделениях) Российской Федерации. Методические рекомендации. — М.; 2017. [Rekomenduemye normy lechebnogo pitaniya (srednesutochnye nabory osnovnykh pishchevykh produktov) dlya beremennykh i kormyashchikh zhenshchin v rodil’nykh domakh (otdeleniyakh) i detei razlichnykh vozrastnykh grupp v detskikh bol’nitsakh (otdeleniyakh) Rossiiskoi Federatsii. Metodicheskie rekomendatsii. (In Russ).] Доступно по: http://cmiac.ru/wp-content/uploads/2017/04/ letter_pril1.pdf. Ссылка активна на 23.04.2018. 13. Saito S, Nakashima A, Shima T, Ito M. Th1/Th2/Th17 andregulatory T-cell paradigm in pregnancy. Am J Reprod Immunol. 2010;63(6):601–610. doi: 10.1111/j.1600-0897.2010.00852.x. 15. Макарова С.Г., Болдырева М.Н., Лаврова Т.Е., Петровская М.И. Кишечный микробиоценоз, пищевая толерантность и пищевая аллергия. Современное состояние проблемы // Вопросы современной педиатрии. — 2014. — Т.13. — №3 — С. 21–29. 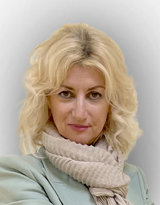 [Makarova SG, Boldyreva MN, Lavrova ТE, Petrovskaya МI. Intestinal microbiocenosis, food tolerance and food allergy. Current state of a problem. Current pediatrics. 2014;13(3):21–29. (In Russ).] doi: 10.15690/vsp.v13i3.1024. 16. Miniello VL, Colasanto A, Cristofori F, et al. Gut microbiota biomodulators, when the stork comes by the scalpel. Clin Chim Acta. 2015;451(Pt A):88–96. doi: 10.1016/j.cca.2015.01.022. 17. Muir AB, Benitez AJ, Dods K, et al. Microbiome and its impact on gastrointestinal atopy. Allergy. 2016;71(9):1256–1263. doi: 10.1111/all.12943. 18. Kramer MS, Kakuma R. Cochrane in context: maternal dietary antigen avoidance during pregnancy or lactation, or both, for preventing or treating atopic disease in the child. Evid Based Child Health. 2014;9(2):447–483. doi: 10.1002/ebch.1972. 19. Koletzko S, Niggemann B, Arato A, et al. Diagnostic approach and management of cow’s-milk protein allergy in infants and children: ESPGHAN GI Committee practical guidelines. J Pediatr Gastroenterol Nutr. 2012;55(2):221–229. doi: 10.1097/ MPG.0b013e31825c9482. 20. De Boissieu D, Matarazzo P, Rocchiccioli F, et al. Multiple food allergy: a possible diagnosis in breastfed infants. Acta Paediatr. 1997;86(10):1042–1046. doi: 10.1111/j.1651-2227.1997. tb14803.x. 22. Osborn D, Sinn J. The Cochrane Library and dietary prevention of allergic disease and food hypersensitivity in children: an umbrella. Evid Based Child Health. 2007;2(2):541–552. doi: 10.1002/ ebch.153. 24. Alduraywish SA, Lodge CJ, Campbell B, et al. The march from early life food sensitization to allergic disease: a systematic review and meta-analyses of birth cohort studies. Allergy. 2016;71(1):77– 89. doi: 10.1111/all.12784. 25. Новик Г.А. Стратегия формирования толерантности у детей с пищевой аллергией // Вопросы современной педиатрии. — 2015. — Т.14. — №1 — С. 70–77. [Novik GA. Strategy of food tolerance development in children with food allergy. Current pediatrics. 2015;14(1):70-77. (In Russ).] doi: 10.15690/vsp.v14i1.1265. 26. Boyce JA, Assa’ad A, Burks AW, et al. Guidelines for the diagnosis and management of food allergy in the United States: summary of the NIAID-sponsored expert panel report. J Am Diet Assoc. 2011;111(1):17–27. doi: 10.1016/j.jada.2010.10.033. 27. Muraro A, Halken S, Arshad SH, et al. EAACI Food Allergy and Anaphylaxis Guidelines. Primary prevention of food allergy. Allergy. 2014;69(5):590–601. doi: 10.1111/all.12398. 28. Rona RJ, Keil T, Summers C, et al. The prevalence of food allergy: a meta-analysis. J Allergy Clin Immunol. 2007;120(3):638–646. doi: 10.1016/j.jaci.2007.05.026. 30. Турти Т.В., Намазова-Баранова Л.С., Боровик Т.Э., и др. Диетологические возможности профилактики атопии у детей в период введения прикорма // Вопросы современной педиатрии. — 2012 — Т.11. — №4 — С. 38–46. [Turti TV, NamazovaBaranova LS, Borovik TE, et al. The possibilities of diet prophylaxis of atopy in children at the period of additional feeding introduction. Current pediatrics. 2012;11(4):38-46. (In Russ).] doi: 10.15690/ vsp.v11i4.357. 31. Турти Т.В., Макарова С.Г., Зимина Е.П. Профилактика аллергии у детей в период введения продуктов прикорма // Вопросы современной педиатрии. — 2014 — Т.13. — №6 — С. 52–56. [Turti ТV, Makarova SG, Zimina YP. Allergy prevention in children during the introduction of complementary feeding products. Current pediatrics. 2014;13(6):52-56. (In Russ).] doi: 10.15690/vsp.v13i6.1202. 32. Намазова-Баранова Л.С., Турти Т.В., Сновская М.А., и др. Оценка переносимости и безопасности монокомпонентных продуктов прикорма в питании детей раннего возраста с риском развития аллергических болезней // Вопросы современной педиатрии. — 2016 — Т.15. — №2 — С. 154–160. [NamazovaBaranova LS, Turti TV, Snovskaya MA, et al. Assessment of tolerability and safety of monocomponent complementary food products in the diet of infants with risk for allergic diseases. Current pediatrics. 2016;15(2):154-160. (In Russ).] doi: 10.15690/vsp.v15i2.1533.